I really owe the West Virginia Space Grant program quite a lot. In fact, while completing my undergraduate (2003-2007) and graduate (2008-2011) degrees at West Virginia University, they offered me numerous internship opportunities from which I gained invaluable skills. For example, during the summers of 2005 and 2006, the program funded my internship at the NASA Goddard Space Flight Center. I was part of a three-person team that worked on the Global Mariner project. The objective of this project was to develop a technology test bed for the future exploration of Europa. It was quite amazing and involved the development of both software and hardware for an autonomous underwater vehicle. The internship also connected me to a network of various companies who sponsored me to attend several unmanned aerial vehicle conferences. These two internships represented a key turning point in my ambitions because they helped me realize the direction of my future professional endeavors. It was during my internships that I also began to explore various electives that enhanced my understanding of flight controls and other areas of specific interest. 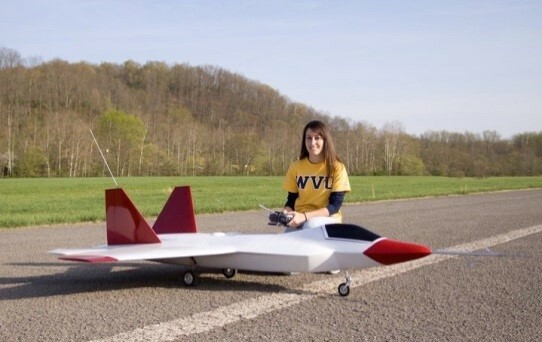 As a member of West Virginia University’s microgravity research team, the Space Grant program also sponsored a number of our activities, like flying on NASA Johnson Space Center’s weightless wonder. In graduate school, I was involved in a direct track PhD program for aerospace engineering that specialized in flight controls (i.e. flight testing of small UAV platforms). 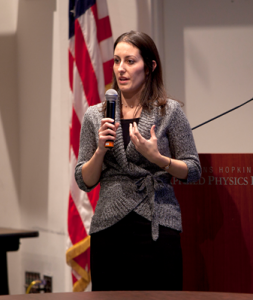 The research from these classes directly enabled me to get the job I have today at Johns Hopkins University’s Applied Physics laboratory in the air and missile defense sector. As a graduate student, the West Virgina Space Grant helped a group of students and I start the Student Partnership for the Advancement of Cosmic Exploration (SPACE) which has expanded to several campuses around the state. Their selflessness inspired me to give back to others and is largely the reason I have enjoyed teaching so much at Johns Hopkins for the last three years. This program can change your life. It certainly changed mine. Ultimately, I consider the Space Grant program as a second family. They also connected me with several internships and organizations that, in turn, allowed me the freedom to determine the scope of my education as it could be applied to the real world. What are you doing April, 23 2019? I hope it's spending a day with us at the Clay Center for the Arts & Sciences for our annual NASA-Space Day! !